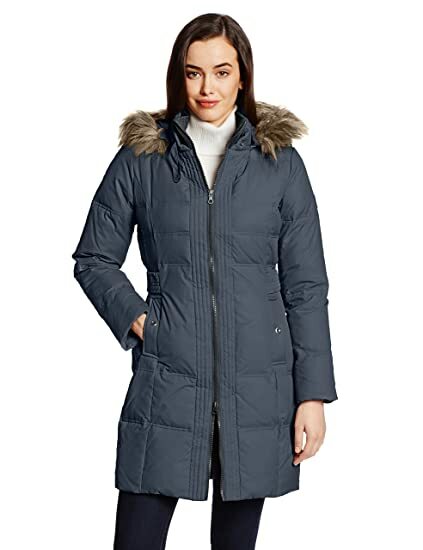 This women’s size down jacket is perfect for winter. 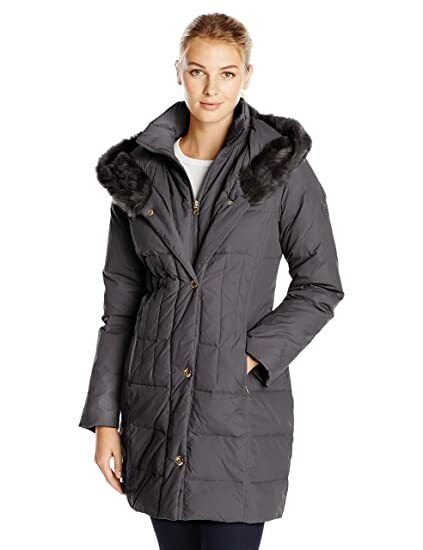 With a cute faux fur trim hood and slimming chevron quilt details this jacket is both stylish and practical. Great for every day. This stunning 35 inch length down filled coat is all you need this winter. A luxurious faux-fur trimmed hood can be removed to create a more elegant dressy look. Warm down fill perfect for late fall and all winter. Water resistant nylon shell blocks out the wind. And a flattering silhouette is created with quilted side panels and side tab details. Beautiful, and season less crepe walker. The crepe fabric can be worn all year round. It can be dressy or casual, daytime to evening, layered with a scarf, chic pin, or nothing at all. Great to wear over dresses as well as any outfit. It has a center easy button closure and trends with the Global warming as the environment has drastically changed when it comes to weather. This will always be a go to in your closet. Hooded down coat with diamond stitching. Functional side tabs. Front pockets with flap. 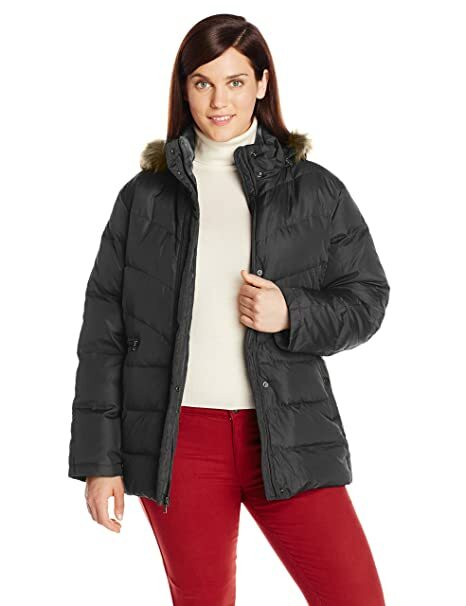 Plus size down coat with faux fur hood and interior bib. Cinching at waist. Side pockets. This maxi-length down filled coat is all you need to stay warm and stylish. The faux fur trim hood is removable to change the style into a stand collar. Side tabs and seamed side panels are flattering and give the style a slimming effect. Zipper side vents allow for easy walking. Stay warm and look great in this 36 inch length down filled coat with removable faux fur trim hood. Classic yet modern. 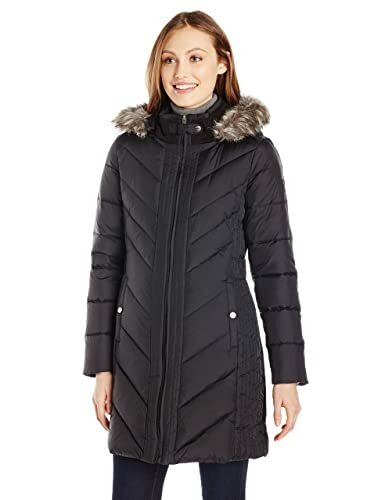 This coat has flattering stitched side seams and slimming side tab details. This 3/4 length down filled coat is all you need to stay warm and look amazing this winter. Soft faux fur trims the hood, which when worn down creates and elegant shawl effect. Careful waist seaming and side panel diamond quilting details offer a flattering silhouette and create a slimming effect.